More from my wish list. 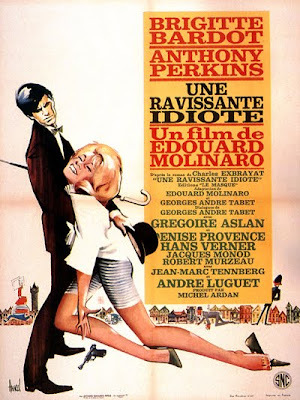 Below are some posters from the Brigitte Bardot Eurospy film, The Ravishing Idiot. All reports indicate it isn’t a very good film at all, but I’m afraid if there is a spy film with Brigitte Bardot in it, I am the type of guy who has to track it down. I tried to order it from Amazon France a few years ago, but they politely told me it was no longer available. I may have to search Ebay or even check out some of the Grey Market sellers. But until then – enjoy the posters.